True to her name, in recent years Destiny Deacon has blazed an extraordinary trail. 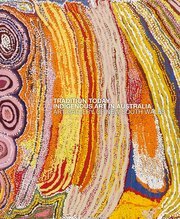 Since first exhibiting at the Art Gallery of New South Wales, Sydney, in 1991, Deacon has been represented in the prestigious international exhibitions Documenta, the Yokohama Triennale, the first Johannesburg Biennale and the fifth Havanna Biennale, as well as the Biennale of Sydney and Brisbane’s Asia-Pacific Triennial of Contemporary Art. 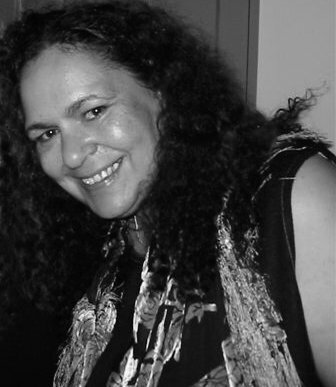 Like Tracey Moffatt, she is one of the few Australian artists to have established an international audience. 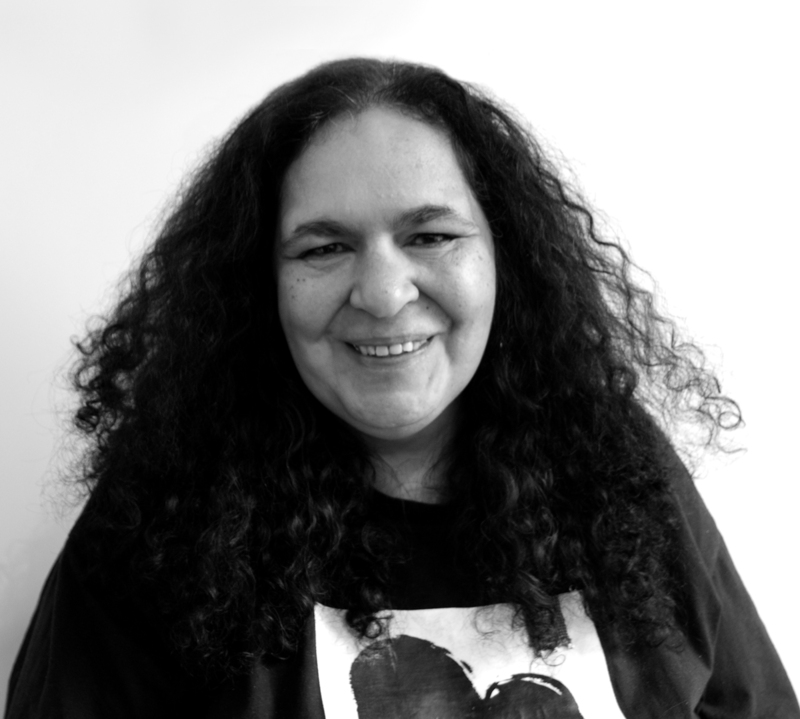 Deacon describes herself as ‘just an old-fashioned political artist’, and her several careers as performer, academic and activist reflect the complexity of this role. In her installations, videos and laser-generated prints, she considers the casual cruelty of everyday racism with a humour particular to her identity. Jokes mostly rely on mocking the weak, yet in Deacon’s twisted currency one cannot be quite sure who is the joker and who the joke is on. In Dreaming in urban areas , 1993, for example, the Goori poet Lisa Bellear appears to be annointed in tribal bodypaint, when in fact she is wearing a Blackmore’s facial scrub. Deacon lampoons victimhood in works that are nevertheless full of pathos – she says she uses dolls in her work because she feels sorry for them. Her home-grown theatre of the absurd stars members from her copious collection of Aboriginal kitsch, battered thrift shop effigies that carry the burden of the grotesque incongruity between real and imagined Indigeneity. There is nothing vicarious about Indigenous suffering, however, and beneath the jest is the living hurt of a history of poverty and contempt. Deacon’s anti-art is seemingly slapdash, but is in fact thoroughly cunning. She describes herself as ‘just a crappy artist’, and has said that the ‘worse’ the art – the more unfocused or uneventful – the tougher its impact. Deacon’s desultory art gives the finger to the narcissism of art making; indeed, one even gets the impression that she is only reluctantly an artist. As one series was titled, she has been ‘Forced into Images’. Yet although apparently incidental, Deacon’s images are far from casually acquired; in between the inaudible dialogue and unedited meanderings of the home video, the video Taking Pictures , 1995, shows a perfectionist at work. Deacon’s beautiful portraits – of herself as Frida Kahlo, or of the Australian artists Janet Burchill and Jennifer McCamley – demonstrate the extent to which the artist works against her innate aestheticism.